Jason Parsons - DWDE LTD.
﻿Jason Parsons grew up in Rochester, NY. 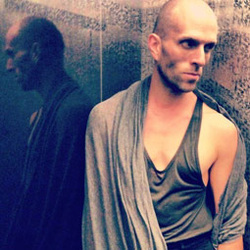 Since arriving in NYC, Jason has trained with some of the best master teachers and choreographers. He has performed with companies such as River North Dance Company, Mia Michaels R.A.W, Dinyos Dance Company (Japan), and the POZ Dance Theater (South Korea). His Industrial credits include Sony, BMW, DaeWoo, and General Motors. He has danced with recording artist Diana King, SWV, and Celine Dion. His television credits include Fame L.A, Star Search, and The Essence Awards. ​He has taught all over the U.S., Canada, England, Japan, South Korea, Cypress, and the Czech Republic.